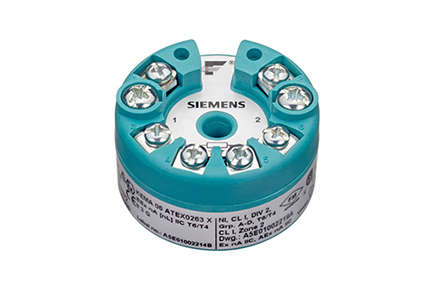 The Sitrans TH400 Temperature Transmitter is available either with PROFIBUS PA or FOUNDATION Fieldbus (FF). It is designed to support all common RTD, thermocouple, resistance and millivolt sensors. Setup is quick and easy with SIMATIC PDM(PA) or AMS and handheld communicator(FF). Due to its small size, the device allows flexible mounting options, even in a DIN Type B connection head.